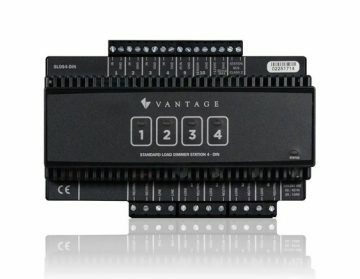 The Electronic Load Dimmer Station is used to incrementally expand the control and dimming capacity of the Vantage automation and lighting control system. 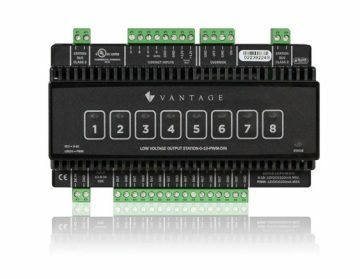 It is designed to easily install on standard 35 mm DIN rail and has connections to control in total up to 1920W at 240VAC. 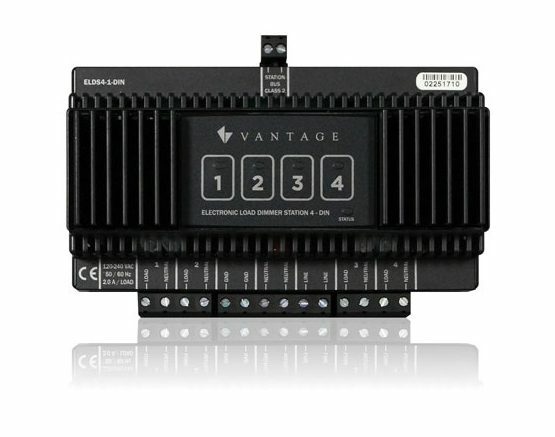 The dimmer station is powered from a local line feed and can communicate with a Vantage Infusion controller through a two-wire bus to orchestrate complex and elegant lighting scenes. Each load can also be independently controlled from the four buttons on the front of the housing. 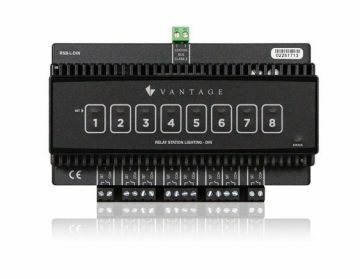 These dimmers support trailing edge (reverse phase) dimming and will detect short circuits and shut down the load until the short circuit is cleared.